For more than a century, physics has been confronting the demon of indeterminacy in the quantum structure of the universe in the search for a Theory of Everything (TOE). Theoretical physicists have struggled for a century to close the gap – unsuccessfully. The esteemed Sir Roger Penrose (age 84) has a different idea that may move us closer to a TOE, but in an unexpected way: his theory also explains the mechanism of consciousness and free will. By implication, it forces each of us (and every quantum state) to make a choice. A quantum state (the location or spin of a particle, for example) involves a superposition of possible outcomes – the outcome is indeterminate until an observation is made, at which point the quantum state has collapsed into a single physical outcome. This indeterminate state is essentially non-comprehensible, as it conflicts with the physical reality we experience and with the accepted findings of classical physics. The responses to the CI have served as fertile ground for physicists for many decades. Perhaps the most popular alternative is the “many worlds” theory that postulates that the alternative superposed states are real. When the collapse occurs, the universe splits into alternatives. Our conscious observation remains in only one of these universes, while the other is inaccessible to us (but accessible – in theory – to the mind that exists in that alternative). While this approach offers a consistent solution to the problem, it is counter-intuitive and largely immune to verification or falsification – and therefore useless in the eyes of many. 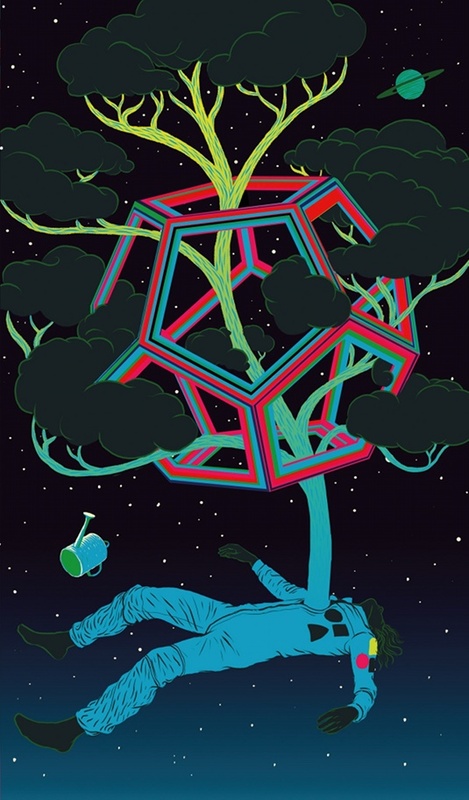 Roger Penrose has championed an alternative known as “objective reduction.” He theorizes that the alternative outcomes of a quantum superposition are physically real – and the alternatives create a stress in the local gravitational field. When the energy required to sustain the superposition in the gravitational field reaches a threshold, the superposition will spontaneously collapse to one outcome. Penrose also linked the concept of objective reduction to consciousness by postulating that spontaneous quantum collapse in structures within the brain could be the physical mechanism underlying consciousness and choice. This theory is now referred to as Orchestrated Objective Reduction, or Orch OR. The implications of Orch OR are profound. Not only does the theory undermine the many worlds hypothesis and provide a missing bridge between quantum physics and gravity – it also radically sharpens the debate about free will. As the authors point out “The mainstream view is that consciousness is epiphenomenal illusion, occurring after-the-fact as a false impression of conscious control of behavior.” Notwithstanding the fact that the epiphenomenal argument itself would deny neuroscientists the efficacy to make such an argument (see: Contradiction in Neuroscience), Penrose/Hameroff respond by explaining that Orch OR provides a materialist mechanism for consciousness and by noting that quantum non-locality effects can account for the temporal variability seen in some neurological measurements. According to Orch OR, objective reduction events are the basis of physical reality at the finest scale — and since they are indeterminate, they introduce what the authors refer to as “proto-consciousness”. Objective reduction events are the ultimate constituents of physical reality – and each such event can be characterized (in my words – not the authors) as a potential choice point. In the structured environment of the human brain, OR events (choice points) are orchestrated in such a way that human consciousness, and the related capacity for intentionality, emerges. What choice is being offered here? OR postulates that the universe as we know it is an end result that emerges from the constant and cumulative objective reductions of the vast numbers of discrete quantum events that fill the universe – all of space and time, in fact. Each of these reductions is indeterminate, and can be characterized as a potential choice point. In the context of the human brain, a complex orchestration across these choice points gives humans the capacity to experience consciousness and to implement intentions that do change the world. Consciousness places a fundamental demand on each of us to make choices — we are, at least in part, responsible for the course of our lives and of the universe in which we participate. But OR also highlights another choice. Given that each and every discrete quantum event of which our universe is comprised is indeterminate, we can choose to believe that the proto-conscious behavior in each quantum reduction is, essentially, unconscious, and that the outcomes of these events are entirely random and purposeless. This is, I would maintain, largely consistent with the prevailing materialist view in the scientific community. However, since OR repudiates the many worlds hypothesis, one can no longer appeal to a vast number of alternate universes in answering the “fine-tuning problem” or the “unreasonable effectiveness” puzzle. The materialist is left with an entirely unsatisfactory formulation of what is known as the anthropic principle: The conclusion is that we are conscious observers in a universe that accidentally displays the precise characteristics necessary for the existence of conscious observers. Alternatively, we can make a choice to believe that the universe we are in is an intentional one, and that the proto-consciousness we observe under Orch OR serves a universal purpose, the nature of which we are unable to observe. Such a belief is no more speculative, and no more falsifiable, than the many worlds hypothesis, but in the context of Orch OR, it is consistent and complete. The universe is not accidental and random, but purposeful. Fine-tuning and unreasonable effectiveness are no longer a problem, they are now confirmation: The fundamental constants reflect a universal purpose, as do the mathematical laws by which they operate. Moreover, that purpose leads, through physics, chemistry and biology, to humans, conscious observers that are able to orchestrate the proto-consciousness of the universe to their own ends. Finally, human consciousness includes the ability to reflect on our own consciousness as well as on the intentionality that has led to this state of affairs – completing the circle, as it were. Under such a belief set, it appears we are close to a TOE. Perhaps we are getting a glimpse – if we open our minds. It’s a choice. So what indeed if the universe itself is thought of as a huge ER=EPR quantum computing system, as a self-organising & observing super-organism after Smolin & Whitehead – or lifeform (besides big bang birth and big rip death; also processing information, minimising entropy production – exporting it, growing, maintaining homeostasis, reproducing and evolving as a universe “figure” on a multiversal “ground”)? And what if biological vitalism & human consciousness is replaced by dynamical systems #universality as a classical analogue of quantum superpositions and entanglement (such as ER=EPR and φ-IIT vrs OrchOR)? What if our human consciousness is channeling an infinitesimal “quantum”of consciousness from the quantum field “below” us and the universal holofractal event horizon “above” us? So our minds become a quantum-critical universality-led microcosm of the entire universe (sourcing its immense computational complexity information-processing power via ER=EPR wormhole-entanglement), which in turn, is a flowing “figure” on a multiversal “ground”? “Perhaps there is something in the warped architecture of the black hole that picks out φ, just as Phidias reputedly did with his Parthenon sculptures. Or perhaps the golden ratio is more deeply embedded in the structure of nature and this is one glimpse of it. Black Holes by their nature are poised on the very edge of our Universe, like cosmic sinkholes. The fact that they manifest Asynsis universality geometries (the geometries of optimally creative, beautiful behaviours in nature – exemplified by Penrose tilings and plant phyllotaxis-growth), at a crucial moment in their evolution – suggests much. Perhaps it’s when they do something creative themselves, so (as has been suggested by the likes of Lee Smolin and his Cosmological Natural Selection), if they are a kind of seed – could their Asynsis Golden Ratio modes be a cosmological germination event? Design in nature, the rise of computational complexity (which is the mathematical bridge that connects ER to EPR), within this universe itself can also be described by the optimal, analogical flows of the Constructal law into the beautiful, simple forms of the Asynsis principle. Speaking of those ideal geometric forms, they’re also flows: they’re signatures of thermodynamic processes, I’ve recently shared on TED.com how the golden ratio can also be seen as a temporal signature (an asymptotic convergence, to be precise), of dynamical systems universality, of how nature evolves emergent complexity most robustly, adaptively and rapidly. But really, looking exclusively at only Spatial interpretations are so last century anyway. We need to look at what nature is doing in Time. And does that also mean the entire repertoire of plant phyllotaxis is an illusion? Plants are telling us something, that we need to think harder about the Temporal, thermodynamics and growth, as Alan Turning did in his last research on the Fibonacci series, phyllotaxis and morphogenesis before he tragically died at an early age. We need to look at both the animate and inanimate, at the dynamical and space-time, not just the frozen and static. It seems the way nature works is to manifest the golden ratio not as a spatial fossil, rather an optimal temporal energy flow signature. An efficiency (& beauty) constant. All this current argument is only over the residue or sedimentary forms of these dynamical flows – so we are missing half the picture (as I’ve been sharing since first publication in AD Magazine, based on Masters studies in Architecture & Computer Science at the University of Westminster, London). What the sciences of complexity and dynamical systems have been sharing recently is that the golden ratio is one of several optimal, analogical geometric signatures of how nature evolves emergent complexity most easily (most adaptively and resiliently – for the least energy-resource cost, with vital sustainability-promotion consequences) – over time. It’s a dynamical behaviour, a verb not a noun. It’s not the phone number, but the very action of dialing. Here’s how I Tweet it:#Asynsis #DaoOfDesign on #TED at #TEDxWanchai #HongKong. Thanks, Nigel! As I noted in our Disqus dialogue on this topic, the comment’s a bit long but welcome. And to summarize the conclusion – YES, the Orch OR theory of Penrose and Hameroff is consistent with the Asynsis principle of emergent development through time that you are advancing! Enjoyed the article. I appreciated the concept of bringing in ‘gravity’ into the conversation. Because that entanglement caused by the shared em (light), is what enables the not only consciousness but it is the gravity itself of nature. What to look into is the coherence of the em state and how a coherent state exists for a collective assembly of mass based on the entanglement. From accretion to the uncertainties, the fields are the cause and in all cases, that is from the energy state (light/em). A great point to begin the biological application is note the centrosome and the perpendicular planes of the microtubule. That is closer to the hammeroff side of the study but the lab and bench is where to begin versus just the theorem. The theorem is to describe but until perfected, using theorem to predict is a waste of time. Thanks for the comment. I recommend you try and drag yourself through the Penrose/Hameroff paper – quite technical in parts, but still accessible. They cite several “lab and bench” corroborations to the theory, and point to a number of upcoming experiments that may provide further evidence.